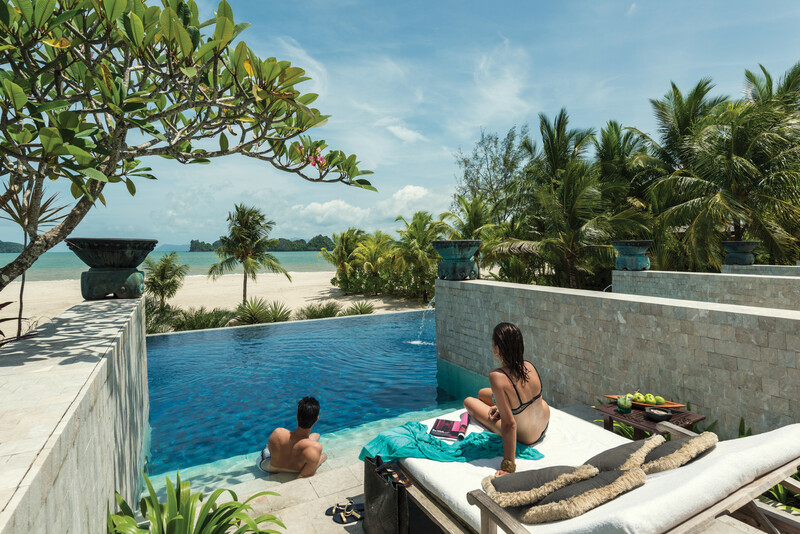 Set between a white sandy beach and soaring limestone cliffs synonymous with the Malaysia archipelago, the Fours Seasons Langkawi has the luxury of never feeling crowded. Within 48 acres of luscious, landscaped grounds there are just 91 rooms. And cleverly, families are booked into one side of the resort (close to the children’s swimming pool and kid’s club) and couples into the other – near the adult’s only pool and a delightful bar where the best spot is a swing seat overlooking the beach. The three restaurants cover Malaysian, Italian and Western cuisine between them. 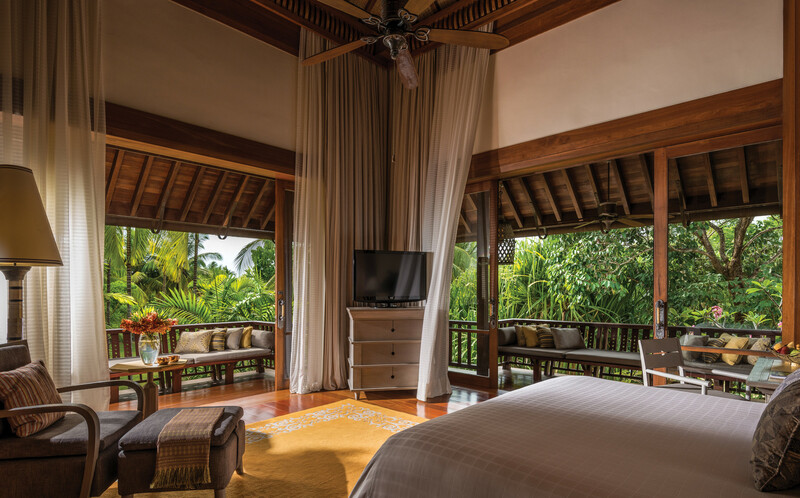 All three overlook the sea but the prettiest is Ikan Ikan, housed in a traditional Malaysian wooden villa. While all the restaurants serve dinner, only Serai is open for breakfast and the Kelapa Grill open for lunch. Many guests opt for in room dining, especially if they’ve booked a beach villa. 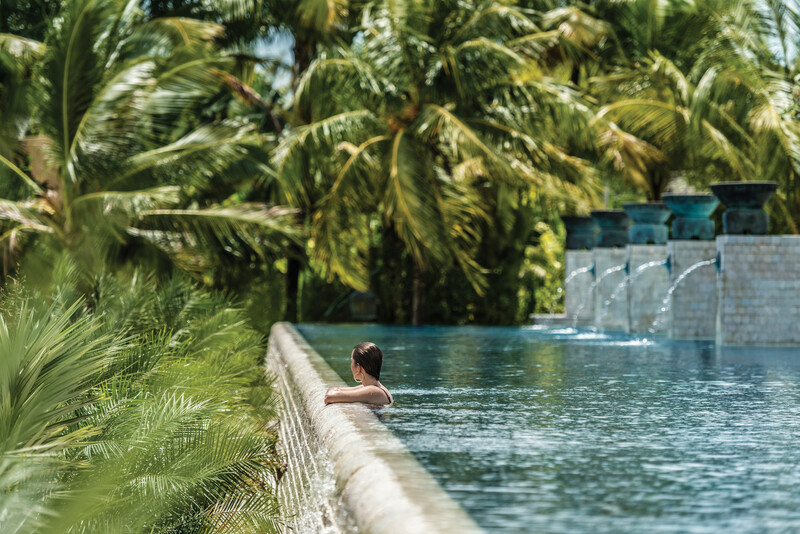 A few forays are made to the superb Geo Spa – recently rebranded to play on Langkawi’s status as a UNESCO Geopark. 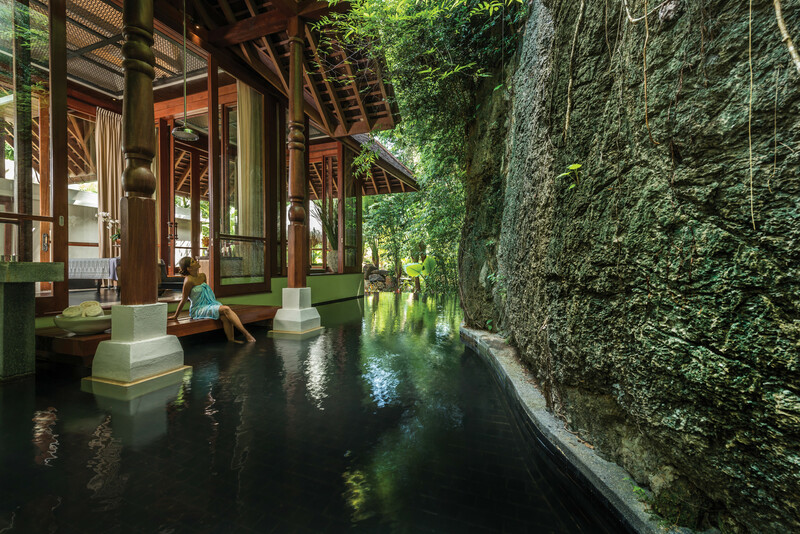 From the spacious treatment pavilions, each set over water, we get a dramatic close up view of the limestone cliffs. 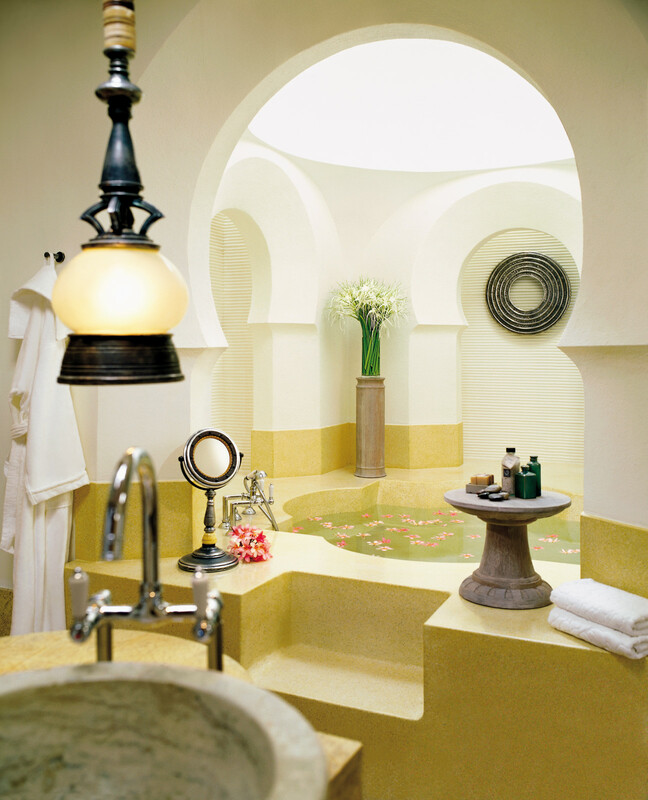 As well as being stunningly designed, the spa offers more interesting and better executed treatments than most. If you’re an active type, there are plenty of water and adventure sports on offer from paddle boarding to rock climbing. We’re tempted away from the resort just once, by a boat trip straight from the Four Season’s beach to the nearby mangroves. 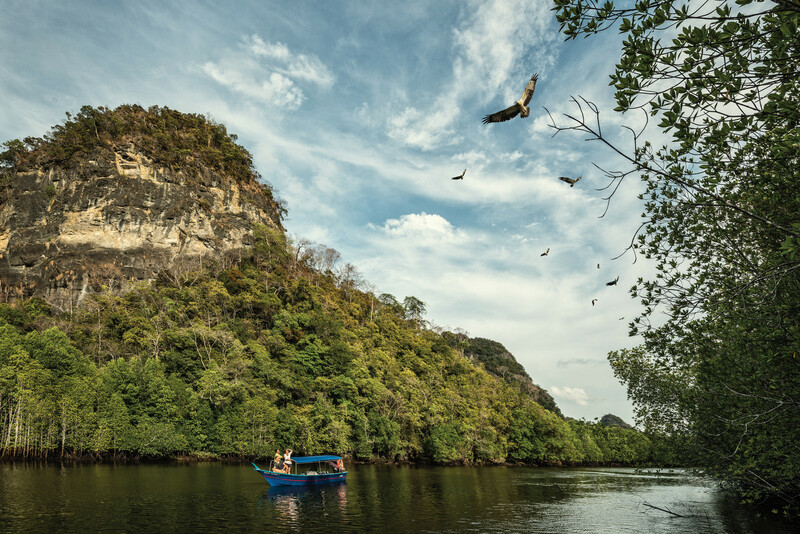 As well as the entertaining commentary of our guide, Aidi,(“Africa has the big five, we have the little five,”) our reward is the sight of kites, sea eagles and families of monkeys – the latter lining the banks of “monkey alley” and taking a cheeky look at us as we glide by.